I've always heard that you should rest as many days as the miles you run. So if you run a marathon you should rest 26 days. Have I ever listened to this??? NO! I would go crazy if I couldn't run for 26 days!!! And my hubby would probably kill me lol! Although I believe resting and recovering from a marathon is crucial, I think the most important thing is to listen to your body. If you feel like your body is ready to run again...then by all means RUN! If you feel your body needs more rest...then rest! So after 10 days of rest I was ready to run again! 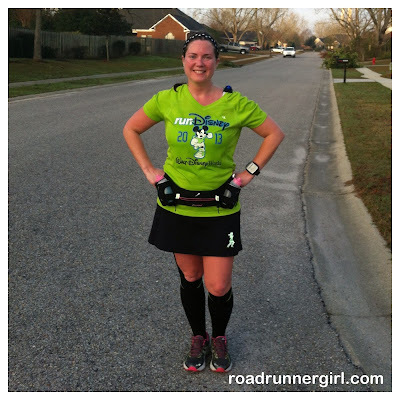 Last week I ran a short run of 3 miles with my friends Paige and Jen. On Saturday I ran 9 miles with the Sole2Soul Sisters that I am helping train for the Seaside Half Marathon! It was great running with them again! My friend Katrina took over my group for me the weekend of the marathon and the weekend after so I could rest. Oh how I missed running with these ladies...and they floored me with how awesome they did on their 9 mile run!!! I went into this run expecting it to be tough. I knew my legs were probably still recovering from the marathon. But I was so ready to hit the pavement! As always the first 3 miles were hard. I wanted to quit. But I knew if I could just get past 3 miles I would be warmed up and ready to go! Once I made it to mile 4 I was feeling great! My legs were tired but the run was going great! I also was happy to be running with Holly from Running and Baking, Oh My! 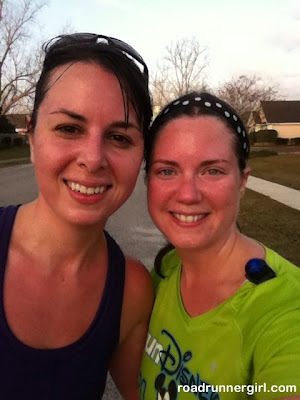 We haven't run together since the Pensacola Half Marathon! I really missed her! We run around the same pace and even push each other when we need to. We make a great team! The rest of the run was fabulous! Holly and I kept on pace and talked for the rest of the run. It was great catching up with her since it had been so long. After the run I came home and did my normal post run stuff. I stretched, rolled, iced, and drank a protein shake. I tried a new protein shake since I was out of my normal Premier Protein shakes. Has anyone ever tried the Gatorade Protein Recovery Shake? It was actually really good! There are 10 less grams of protein than in the Premier Protein ones but it's still a great option for me. 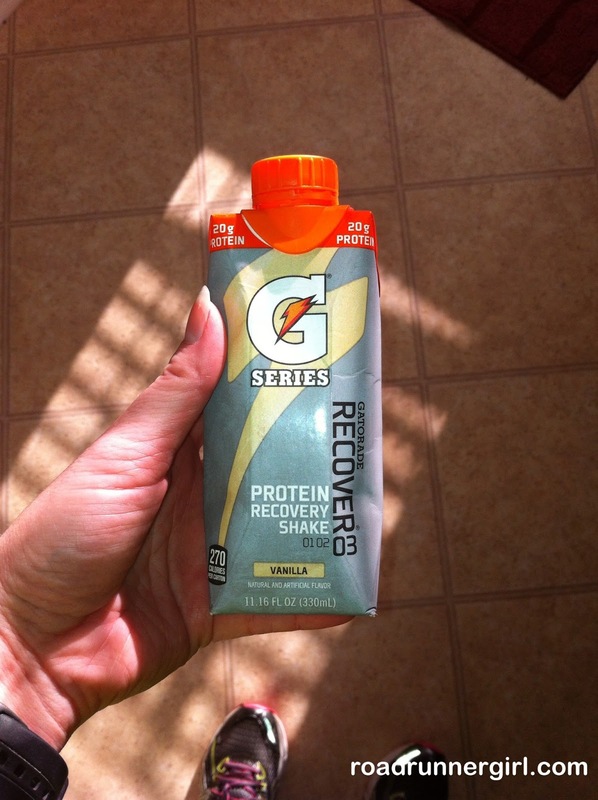 It kept me from getting the headache I get after a long run if I don't refuel correctly. I found this one at Walmart...I can only get the Premier Protein ones at Sams Club. So these are great for when I can't make a trip to Sams. After showering I headed to find all my men. They were at the Pinewood Derby Car races for cub scouts! I'll tell you more about that later! A long run is a great way to start my weekend! Love it!!! QOTD: Do you run long on the weekends? Or during the week?